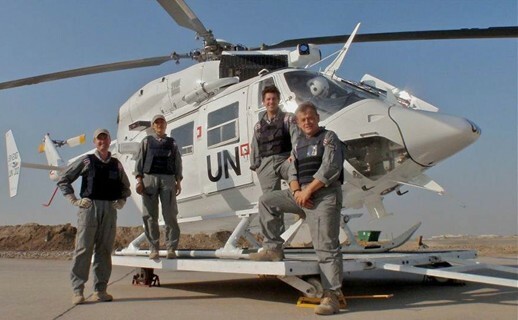 In 2010, Everett Aviation were contracted to provide two BK117s to operate for a leading NGO in Iraq for moving passengers in high threat areas. The requirement included the protection of the helicopter from both small arms fire and MANPAD threats, and the ability to operate in complex civilian/military airspace and all modifications had to be CAA approved. Everett Aviation flight crew at their base at the Baghdad Airport. This program included testing the AMPS over the entire flight envelope and was completed in five months. 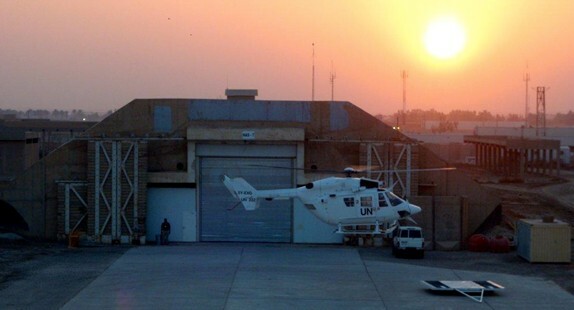 BK117 coming in for a landing outside the hangar, a hardened aircraft shelter at the Baghdad airport. Everett Aviation BK117 shooting flares as part of its Airborne Missile Protection System testing. 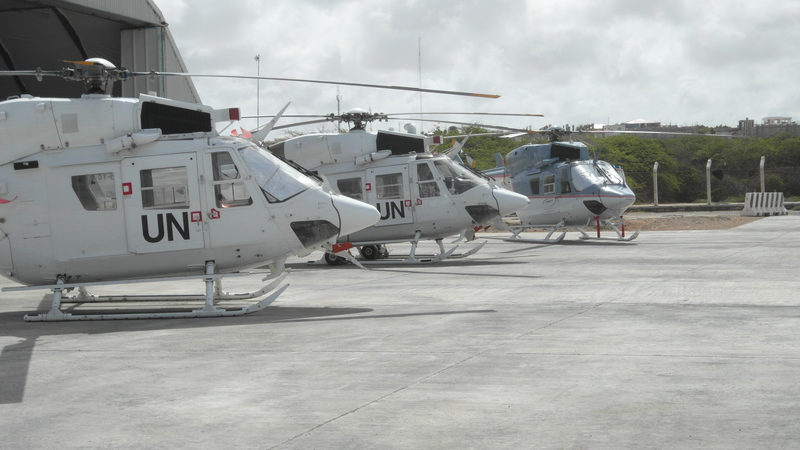 In June 2013, these helicopters redeployed to Mogadishu, Somalia after a successful mission in Baghdad.